Working on your feet for long periods of time each day can have a drastic decrease on your workers performance and company production. 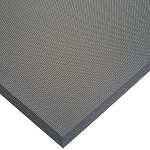 Using an ergonomic anti-fatigue floor mat will restore your workers confidence to perform at a higher level to produce and increase company revenue. 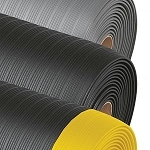 The 447 Comfort-Eze Floor Mat is made of tough rubber material designed with a bubble top and offset bubble bottom to minimize muscle fatigue and back discomfort in light to medium duty work areas like, shipping, packaging, and quality inspection stations. 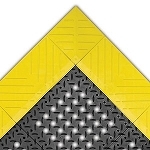 All four sides of this safety mat are beveled to decrease tripping accidents. 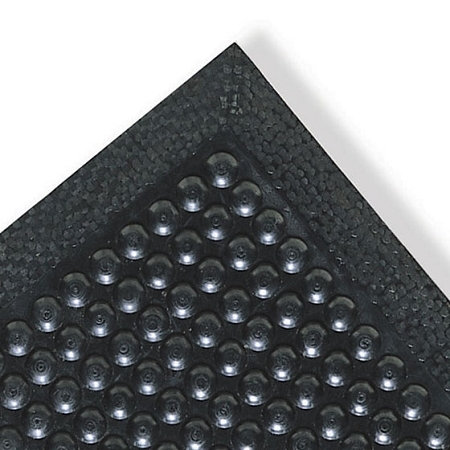 To restore new look on this floor padding simply wash with water and mild detergent.